Next month, Kansas will swear in its first two openly LGBTQ state lawmakers and send its first out representative to Congress. TOPEKA, Kan. — Kansas will swear in its first two openly LGBTQ state lawmakers next month and the new Democratic governor promises to end a ban on discrimination over sexual orientation or gender identity in state hiring and employment decisions once she takes office. Yet other goals for LGBTQ-rights activists, such as expanding the state's anti-discrimination law covering landlords and private employers, might not be much closer to fruition — despite a historic national wave of victories by LGBTQ candidates and Gov.-elect Laura Kelly's promise to break with Republican predecessors on policy. The GOP still has large majorities in the Legislature, and it will be a little more conservative after this year's elections. While Kelly's election likely prevents new laws that LGBTQ-rights advocates oppose, they probably will struggle to undo policies enacted in recent years when Republicans held the governor's office. "It's not the governor who decides if we get hearings or if bills come out of committee," said Tom Witt, the executive director of Equality Kansas, the state's most influential LGBTQ-rights organization. "That's going to make it a little more challenging." Kelly takes office in January, along with the state's first LGBTQ lawmakers, Democratic state Reps. Susan Ruiz and Brandon Woodard. 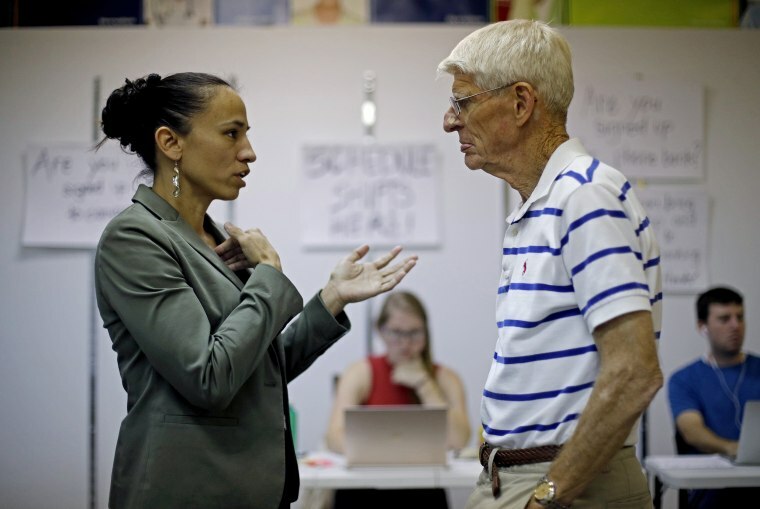 They were elected in Kansas City-area suburbs, which also elected Democrat Sharice Davids, a lesbian and Native American lawyer, to Congress. Kelly has promised to issue an executive order — possibly on Jan. 14, her first day in office — to end anti-LGBTQ discrimination in state hiring and employment decisions. In 2007, then-Democratic Gov. Kathleen Sebelius, a friend and political ally of Kelly, issued an executive order banning anti-LGBTQ discrimination in state employment. But conservative Republican Gov. Sam Brownback rescinded it in 2015, arguing that such a policy should be set by legislators — who clearly weren't going to do it. Colyer signed a measure in May providing legal protections to adoption agencies that cite faith-based reasons for refusing to place children in homes that violate their religious beliefs. The legislative debate centered on agencies that won't place children in LGBTQ homes. Supporters saw it as religious liberties measure, but Kelly has called it an "adoption discrimination law." Ruiz and Woodard ran on platforms that included support for LGBTQ rights but emphasized issues such as voting rights, education funding, expanding the state's Medicaid health coverage to more families and lowering the state's sales tax on groceries. Woodard won in a district that had been held by conservative Republicans who'd backed religious objections measures, like the adoption law, and Equality Kansas described his GOP predecessors as strongly anti-LGBTQ. Ruiz and Woodard also expect that it will be harder for colleagues to pass anti-LGBTQ measures. Annise Parker, a former Houston mayor, now president and CEO of the Victory Fund, which helps elect LGBTQ candidates, said this year's election represented a milestone in Kansas, "but it doesn't mean sweeping changes."